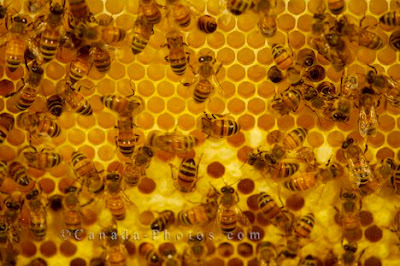 Food prices could rise even more unless the mysterious decline in honey bees is solved, farmers and businessmen told lawmakers Thursday. "No bees, no crops," North Carolina grower Robert D. Edwards told a House Agriculture subcommittee. Edwards said he had to cut his cucumber acreage in half because of the lack of bees available to rent. About three-quarters of flowering plants rely on birds, bees and other pollinators to help them reproduce. 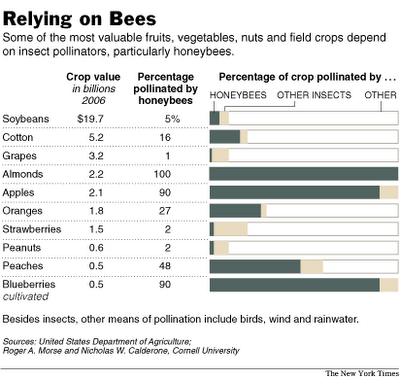 Bee pollination is responsible for $15 billion annually in crop value.